Thank You LPC for coming out and servicing the property as best as you can. I look forward to having happy pest free environment from each tenant. Lloyd Pest Control provides excellent service. We had a yearly termite inspection, gopher removal service, and regular pest control service done in the past month and every single one of their representatives was punctual, courteous, and very respectful. All the work was completed in a very professional manner. Definitely recommend this company. Always does a good job and always on time. Thanks,. Excellent service. They are very accommodating with the schedules. We are a long time customer & never have had a problem with pests. I am very pleased with the service I receive. Next time please send the very nice guy who did 5044 Rockledge Dr., Riverside 92506. Thanks. I liked how easy he was to communicate with me being deaf. Cheers! My husband and I are very pleased with the services. Very professional and knowledgeable about the product being used. Most of all, the products being used in our home are pet friendly. Thank You Lloyd Pest Control !! On time & always gives me a call 20 minutes prior to arrival so I can have my gates unlocked. You send out the nicest most respectful employees. Thank you for that because I pay attention and I always appreciate the respectful attitudes. Thank you. Hi , We have been service by your company for over 5 years . We have been very happy with all your technicians especially Jessie , Angel , and Micheal who is our current service man . All three of these technicians have been promoted to higher positions with your company . We realized that it is not an easy job to keep your good employees , however you are doing a great job in keeping your employees ,knowledgeable, empowered, and extremely happy to serve . We do applause you as a president . Ahmad & Parry Hodaei 52346 Shining star lane La Quinta CA . Our exterminator is great! I used to have roaches and they are thankfully gone! Lloyd's is the go to service if you hate bugs. Great company that use gel instead of spray so no inconvenience regarding emptying cabinets and then refilling them back. They always did what they supposed to do at the scheduled time. Their staff are always Professional and knowledgeable. I STILL HAVE SPIDERS AND SOME ANT PROBLEMS. Richard did a very professional and thorough job at me home last week. Always prompt, wonderful service. Have never had a problem since Lloyd began servicing my property. Would highly recommend them. 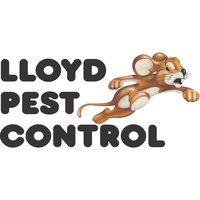 We’ve been using Lloyd Pest Control for several years, and are quite satisfied with their service. They always call to remind us of our service dates, and have always been very accommodating if we need to change dates. We are happy to recommend this company. Customer service is always good! Service is always timing Normally do not see serviceman. Would nice to get brief comment from him regarding his visit. Lloyd Pest Control's service is not only very effective, but their customer service is outstanding. I've used them for two year and have never had a problem. I am very pleased with my service & am happy with my technician! I have been with Lloyd since it was Snyder & have always had good service! I've also had great results when I've had problems inside the house! Lloyd has promptly come to my rescue & solved those problems! Thank you so much! Happy with calling in and getting the specifics on what we need done and they do it. Then document it on the receipt. The technicians have always been courteous and professional. I appreciate that. They are very thorough when sweeping the outside for spider webs in the corners and around the light fixtures. My one complaint / suggestion is to have your office coordinate my service with the service to 81190 Santa Rosa Ct.(Karen Reese June Dunn owners). I take care of that house when the owners are away. I have keys for when it is time to spray inside, plus I would like to see the inside of the garage sprayed more often. It would also make sense for your company to only make one trip here into Trilogy on our street. Our technician is fantastic. He is thorough and also very friendly. I like that we have the same guy each time. Courteous, quick, friendly, and reliable for a good price! A trustworthy company. Always have a had great service! Danny always lets us know when he is on our property He is very polite n knowledgeable n considerate of our pet. I am a long time customer. I am not happy with paying month after month for service in front & backyard but only being serviced in the front. Most recently our service in November it was raining. It had rained all day before. We were all home, your tech never came to our door except to leave the invoice. He noted he was unable to spray the backyard because the dog was out. 3 cars were parked in driveway, why didn’t he ring bell? And the fact it was soaked & ponding, how effective was the spraying out front. I also wished you took online payments. I plan to get pricing on the front yard only. Excellent service. Friendly and knowledgeable employees who are very accommodating and helpful. Highly recommend. Robert was a very polite and respectful technician and demonstrated the utmost professionalism when here. He did a highly thorough job and went above and beyond what we expected. we are very happy with him and with Lloyd’s! I have been using Lloyd Pest Control for over 5 years, Gilbert is my technician and he is friendly, polite and always asks if I have seen anything that needs to be addressed, like an ant hill or an influx of spiders, etc. I like having the same technician every time because they know the layout of my exterior and I have a dog, which he always reminds me to keep her inside. All good !!! Excellent service. Very reliable. The results are in the pudding. I would higly recommend this service to anyone. Including family members. I am very happy with your service. Robert (Whitey) is my choice for a great employee. I want him all the time to be the one to come to my house.